Constantine R. Campbell. Outreach and the Artist: Sharing the Gospel with the Arts. Grand Rapids: Zondervan, 2013. 128 pp. $16.99. Con Campbell is a man of diverse talents: he is a respected jazz musician, a world class New Testament scholar, and a gifted communicator. He was an artist before he was a Christian. All these things make him one of the best people I can think of to write a book on evangelism and the artist. 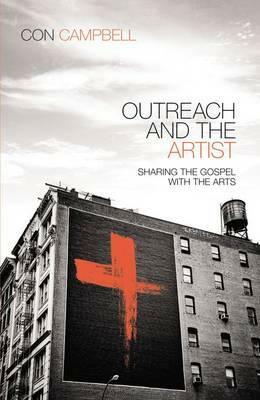 Outreach and the Artist: Sharing the Gospel with the Arts is a tellingly autobiographical work. During Campbell’s time in a prestigious jazz course he met Christ, igniting what he describes as “the battle between Jazz and Jesus” (15). Jesus won, and Campbell reports resigning himself to life without his former god: music. But having abandoned his idolatry of the arts, Campbell discovered to his surprise that God could use his musical abilities for evangelism. Books on evangelism can easily slide into two unhelpful extremes: unreflective pragmatism or impractical theological navel-gazing. Campbell avoids both. While deliberately not a theological treatise, a strength of this short book is that it puts forward its practical insights in the context of a robust evangelical theology. It is particularly refreshing in a book like this to read about the doctrine of creation. As “a part of God’s good creation,” Campbell says, the arts “are to be respected, appreciated, cherished, and used for the good of humanity to the glory of God” (11). At the same time, Campbell is unapologetically evangelical in his outlook: like all of us, artists need to hear and respond to the proclamation of the life, death, resurrection, and ascension of Christ. The first half of Outreach and the Artist addresses the use of the arts in outreach. Having done hundreds of evangelistic jazz nights, Campbell shares many practical tips as well as some general reflections that will help any artist think through how to use his or her skills in event-based evangelism. He promotes both what he calls outreach with the arts (e.g., a jazz night with a gospel talk in the middle), and also outreach through the arts (e.g., the use of the arts themselves to proclaim the gospel message). It is worth noting that as an instrumental musician Campbell has more to say about evangelism with the arts than evangelism through the arts. My only complaint with this part of the book is that Campbell keeps some of his best ideas to himself. Anyone who has seen him in action at an evangelistic jazz night (or has heard his album The Gospel According to Groove with James Morrison and the Idea of North) will know of his skill in finding connections between the arts and the gospel. Though he challenges pastors and artists to work together to find these intersections, I would have liked some more worked examples to get me going. The second half of Outreach and the Artist starts a conversation about reaching out to artists themselves. Campbell paints a compelling picture of jazz musicians as a distinct subculture desperately in need of the gospel yet disconnected from Christians and the church. He then sketches some plans for engaging them (whether as churches, as musicians within the subculture, or as non-artist outsiders). The critical question for this book is this: can Campbell’s experience in the jazz world teach us something about musicians—or artists—in general? Almost certainly. On a personal level, I found his approach resonating with my own experience of all sorts of musicians, and my wife (an opera singer) can vouch the same for the classical world. Against the caricature of the lazy stoner musician in love with their own ego, Campbell prepares us to meet and reach out to devoted but idolatrous worshipers of art for its own sake (however accurate the stoner bit may be). What about other types of artists? Aware of the limits of his own experience, Campbell’s book also contains interviews with a number of artists—some outstanding jazz musicians but also some visual artists, a comedian, and an actor. These short interviews provide a fantastic insight into the lives of Christian artists, both Australian and international. These interviews alone make the book worth giving to Christian artists, particularly those still thinking through how being an artist and being a Christian should go together. Outreach and the Artist will offer precious insights for generalist pastors (as well as specialist evangelists) as to why artists are underrepresented in most churches. Better still, it will help churches realize what they can do to re-engage them. Editors' note: This review originally appeared at Matthias Media’s The Briefing. ​Andrew Judd is a piano player who has recorded with bands like Garage Hymnal and the Saints. He now serves alongside his wife, Steph, discipling students at Barneys Broadway in Sydney, Australia.